Being South Carolina natives, my family and I are always on the lookout for destinations that satisfy both our thirst for adventure and our love of water. 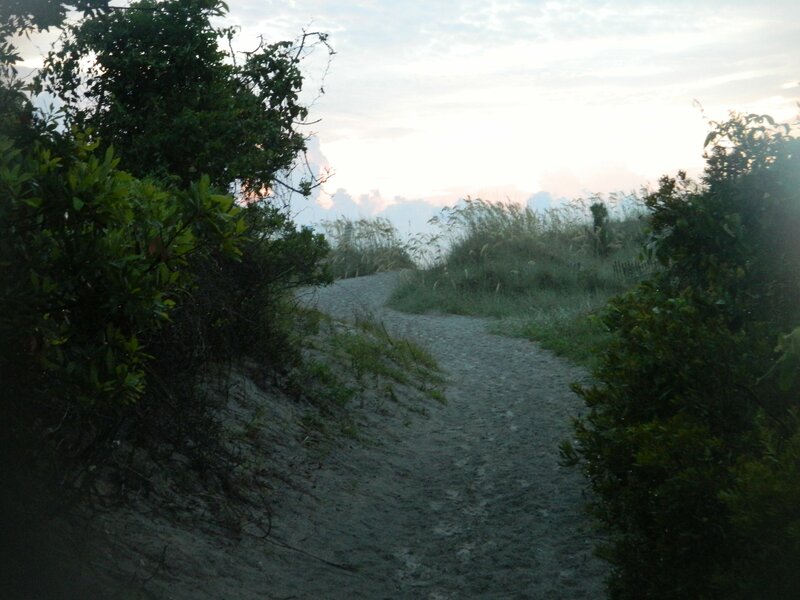 Several years ago, we ran across a tiny island in the lowcountry called Hunting Island. 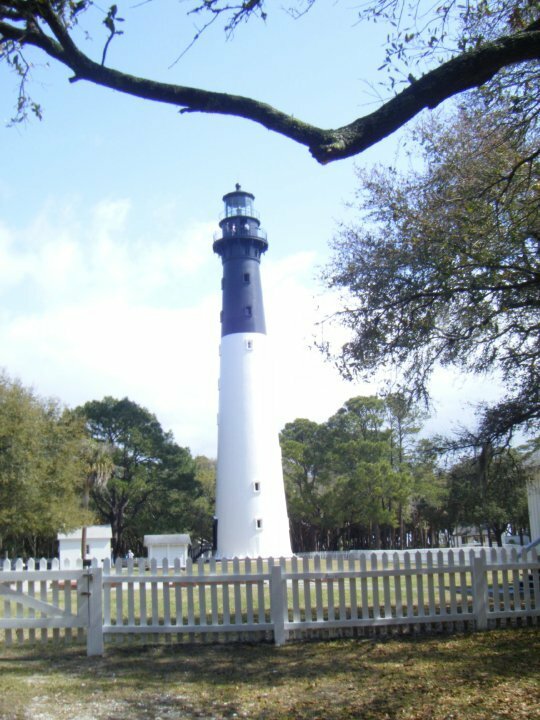 I’m not sure how we missed this since basically the whole island is a state park—the most visited state park in South Carolina at that! It plays host to over a million visitors each year and after spending our first night there, we completely understood why. If your idea of vacationing is spending your time on the go shopping and eating out, maybe Hunting Island isn’t for you. The closest grocery store is about 14 miles away on Lady’s Island and the closest city with fast food and shopping is Beaufort, approximately 18 miles away. 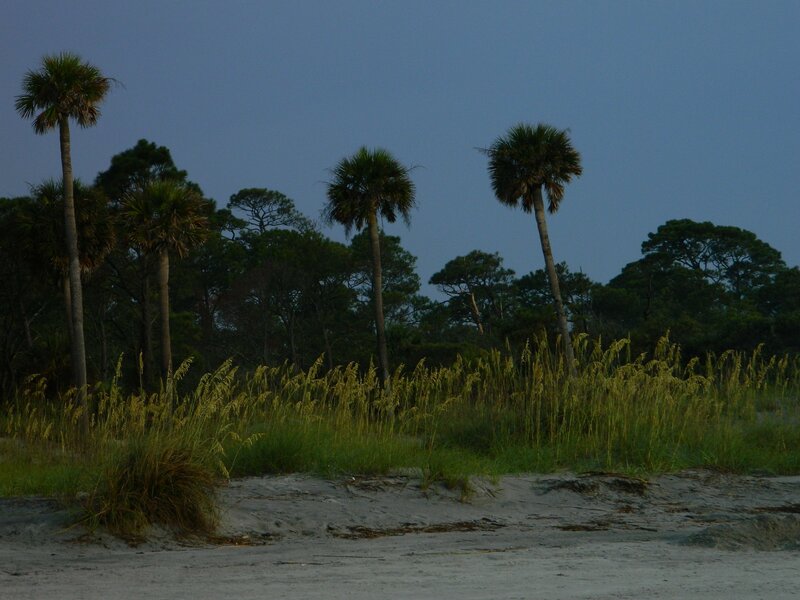 However, if you’re craving quiet time on a quiet beach and communing with nature, then Hunting Island should be right up your alley. There are many activities to do on the island and I highly recommend taking advantage of the programs offered through the park service. Various types of programs are offered throughout the day. Whether you’re looking to learn a new skill or just learn about the local history, there is something for you. 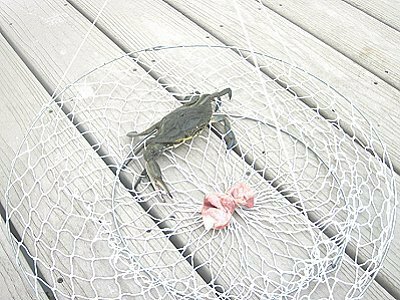 It was through one of these programs that I learned one of my favorite summer activities—crabbing. For a mere $10, I got a crabbing class, bait, a prime spot on the fishing pier, and all the gear I would need to become the most successful crabber in the universe. (Ok, the most successful crabber in MY universe!) I had no idea how to crab or what I was going to do with the crabs once I caught them so you can imagine how thrilled I was to tie a ‘less-than-fresh’ turkey neck onto my net and lower it into the water. I did as I was told and waited ten minutes before I pulled up my net to see if I’d caught the mother lode. Not quite, but I DID have 2 small bluish-brown crabs and a hermit. I had also caught crabbing fever. 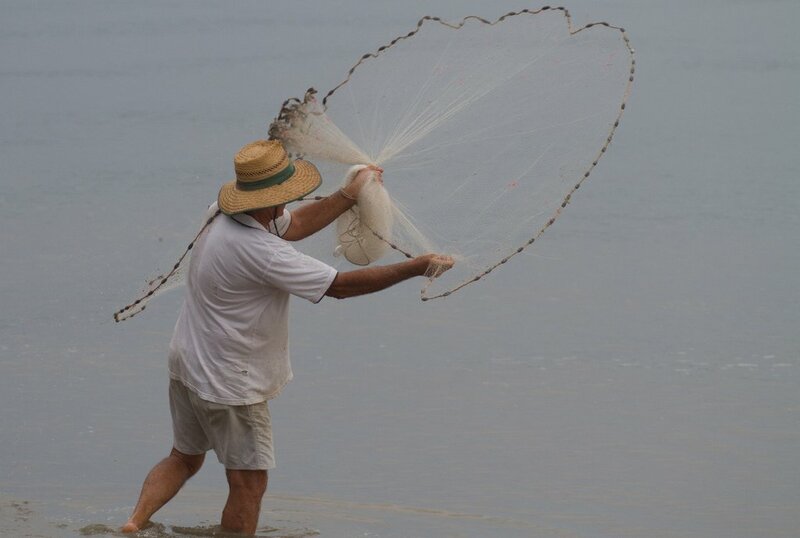 Last summer on our yearly visit to Hunting Island, I learned a new skill—cast netting. This one takes a bit more finesse than crabbing and apparently finesse isn’t something I’m equipped with. During my first cast netting lesson, I pulled in a several small blue crabs, a few hermits, and 2 tiny puffer fish. I watched skilled cast netters in just a small amount of time haul in enough crabs and fish for a nice supper. Unfortunately, my family would starve it if were up to me to feed them by cast netting. I sure do hope this is one of those skills that improve with practice. Of course the fishing is great on Hunting Island, whether you’re surf fishing, fishing from the pier, lagoon, or tidal creek. Anything from sharks to drum to bass to redfish can be caught using mud minnows, cut bait, shrimp or other artificial baits. 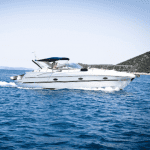 Just make sure you get that saltwater stamp to avoid getting an unpleasant visit from the DNR. 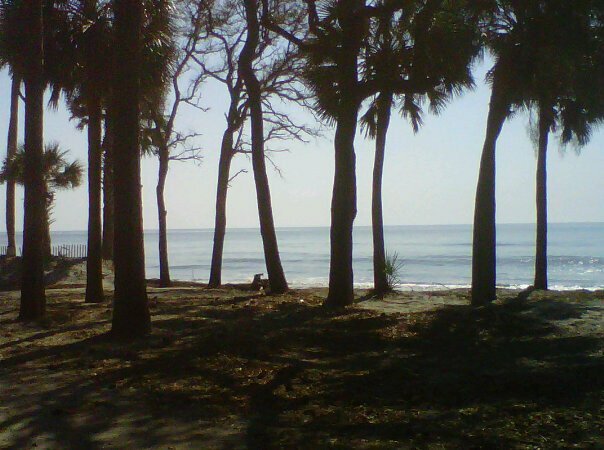 I think it goes without saying that Hunting Island is by far my favorite place to vacation by RV. There’s just so much to do and see, even though it’s quite secluded. It’s like having your own private beach where you can relax and slow down for a bit. After all, isn’t that what vacationing is about?